Forget the lingering and painful physical therapy, your dormant ankle muscles can now regain life through a robotic device. Called robo-ankle, the device built by scientists at Carnegie Mellon University in the US can also assist people with more serious neuromuscular disorders like cerebral palsy and multiple sclerosis, said a report published in the New Scientist magazine. "The device was originally meant for people with long-term conditions while it could also be used by those recovering from injury," said Yong-Lae Park, assistant professor at the robotics institute at Carnegie Mellon University in the US. "The device could be used for short-term ankle rehabilitation as well, for example muscle training and exercise after cast or splint removal," he added. Park and his colleagues built robo-ankle using soft plastics and composite materials, rather than a rigid exoskeleton. control software to mimic the muscles, tendons and ligaments of the lower leg. 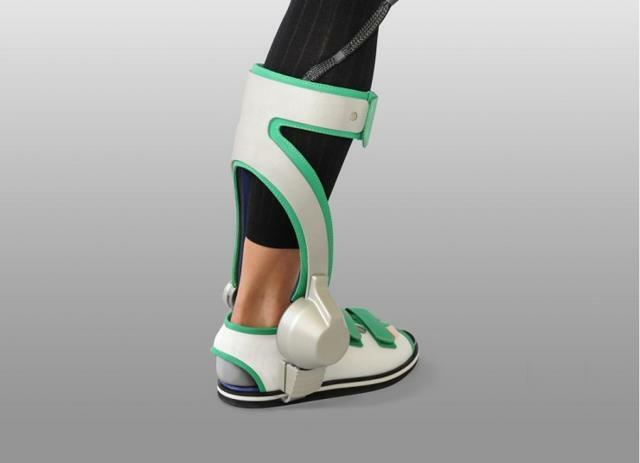 The artificial muscles are controlled by compressed air and circuits, which move the wearer's foot through a series of exercise movements designed to strengthen weak muscles and improve the ankle's range of motion while the patient is sitting, added the report. Future incarnations of the device may even allow for people to wear the device while going about their daily life. "Controlling the device using the wearer's motion or muscle intention is our ongoing and future work," Park was quoted as saying.